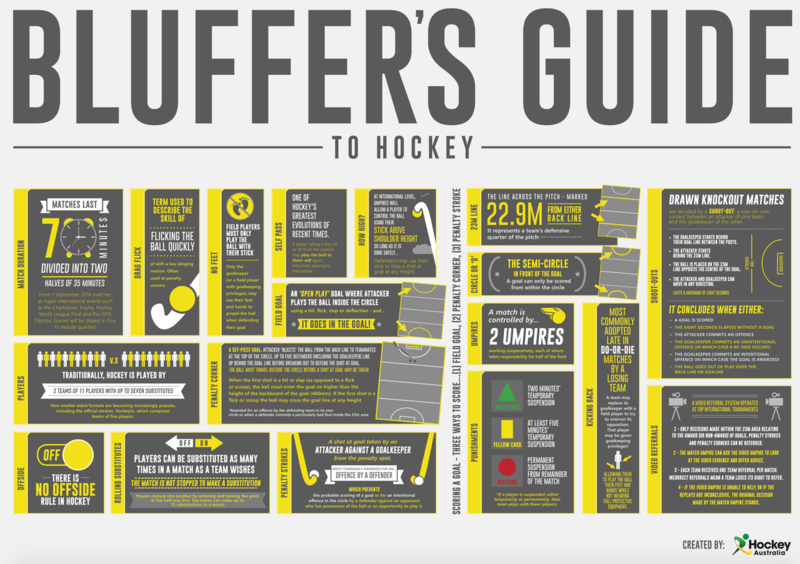 Hockey Australia explains all the rules here. For a quick overview, here's a great guide. You can find the rule modifications for junior hockey here. Never argue with an official. If you disagree have your captain, coach or manager talk to the official during a break or after the match. Be a good sport. Applaud all good plays whether by your team or an opponent. Play for the fun of it, not just to please parents and coaches. Encourage children to participate, do not force them. Remember that organised sport is for your children’s enjoyment, not yours. Focus on the child’s efforts and performance rather than winning and losing. Encourage players to always abide by the rules and the officials’ decisions. Remember that children learn best by example. Applaud good performance and efforts from each team. Congratulate all participants on their performance regardless of the game’s outcome. Respect officials’ decisions and teach your children to do likewise. Respect for your team’s opponents – without them there would be no game. Show appreciation of volunteer coaches, officials and administrators. Without them your child could not participate. Give all children an equal chance to participate. Ensure that rules, equipment, length of games and training schedules suit the age, ability and maturity level of players. Remember that children participate for enjoyment. Don’t over-emphasise awards. Help coaches and officials highlight appropriate behaviours and skill development and help improve the standards of coaching and officiating. Ensure everyone involved in junior sport emphasises fair play, not winning at all costs. Give a Code of Conduct sheet to officials, coaches, players, parents and spectators and encourage them to stick to it. Think before you speak. Don’t say anything that could disadvantage anyone within your club or association. Compliment and encourage all players. Remember that children participate for pleasure and that winning is only part of the fun. Never ridicule or yell at a child for making a mistake or losing. Teach your players to always follow the rules, which are unbreakable. Avoid overplaying the talented players. The just-average need and deserve equal time. Ensure that equipment and facilities meet safety standards and are appropriate to the age and ability of players.